Crossbow is easy-peasy, it's just like a gun, only needs animations. And look, the mod doesn't even have its own animations (but remember modders can't do animations yet anyways). Someone can do that crossbow mod easily. Bow is hard because it's not like a gun. Bow wasn't great before, janky, a little better than some gave credit for. But apparently they want to make it, for example, pulling back more = more power. Or some stuff like that. Needs its own code. It's proved right above you. Lead Designer Peter Nespesny (/u/psychotron42) says in the reddit post: "Helmets nor vest never has any fire geometry when attached to a player character" and "damage system tells that head hit zone is protected with helmet and damage to the zone is lowered accordingly". He also says "both issues are on our to-do list". So in fact, the truth is that there is no helmet hitbox, and that equipping a helmet simply reduces damage to your character's entire head. For the time being. More info and apparently these issues described are on the fix list. So it's quite true, as in the video, there's no ability to shoot a "weak spot" at the unprotected face right now as helmet equipped protects entire head and brain (again as seen in video, even then helmet protection values can use a lot of lowering). Video maker @Halfblood informs us also that bullet damage, at least against players, no longer drops off. In older versions of DayZ, the bullet damage decreased over distance as the rounds slowed down. Same thing in ARMA 2, ARMA 3. Same thing even in unrealistic Battle Royale games like PUBG. I mean, even the likes of Apex and Fortnite have this on their weapons. But apparently (I'll trust Halfblood's on this one) the DayZ devs, when overriding the old damage system, didn't code this feature in! gg! I was wondering how many of the avid DayZforum users of 2012 are still playing DayZ in 2016, either standalone or mod. Many people who once posted daily now don't post at all. Some well-known communities have long since broken up or disappeared (e.g. Balota Buddies). 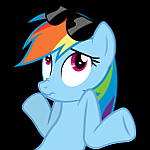 Here's the list of members with over 3,000 posts who joined before January 1, 2013 (minus me): OrLoK Fraggle Steak and Potatoes boneboys Inception Hetstaine kichilron Mos1ey smasht DemonGroover Derpy_Hooves gibonez Max_Planck Michaelvoodoo25 dallas applejaxc Maxgor Darryl Dixon Covance enforcer1975 Katana67 Rage VG ☣BioHaze☣ GOD™ -Macabre- sausagekingofchicago TheCreeper colekern leviski Are you guys still roaming Chernarus? No, he didn't ask for a Battle Royale game, he asked for a Battle Royale mode for DayZ. This is DayZ suggestions subform. There was an big battle royale called the "Survivor GameZ" promoted by Bohemia themselves but it was a special event for streamers. Build a Twitch fan base and you too can join. I don't think they will be adding any battle royale mode. Not happening. I'm sure someone will make a mod, though. This is the PC section of the DayZ forums, Vigor is a different game on a different platform. They don't plan on bringing it to PC so it might as well be as far removed from DayZ as Fortnite, PUBG or Apex Legends. I'm not a fan of the inky black night, yes, it might be fun occasionally, but 99% of the time I have zero interest in wandering around with a flashlight only able to see a short distance. That type of gameplay is not what I play DayZ for. At all. And if I don't have any light? Bahaha. Forget it. And simply watch the servers empty as it turns black. But "personal night light" is a terrible solution. Why keep introducing silly stuff? Just do the moon compromise like we had before. This is a perfectly playable darkness under the old full moon, open field (also note how it's the original ARMA greyscale night, compare to the the crappy-looking, unrealistic saturated-colours night that replaced it). You could even go a lot darker and remain playing no problem. And this is an unacceptable darkness: But no personal night lights please. So far the process has gone like so: too dark. Add full moon. Remove full moon. Too dark. Add... "personal night light"? What a workaround! On PC I only play the "private hives" and there's either zero hopping or limited hopping and if you could catch it you could often report to server admins. But Xbox it's of course only the public hive. And devs said no plans for private servers on Xbox. Ghosting and hopping problem has been around since DayZ existed, but it's always been ignored, the most that's been done is lengthy respawn timer, which isn't much (and has been greatly reduced). Why not, though? This is a design choice. They could have made characters server-locked, or created a more advanced spawn system in an attempt to prevent or mitigate ghosting. But there's nothing along these lines. That's not the way it works on any forum I've been a part of, nor would it, in my opinion, be beneficial to discussion and debate. Eg: User "Bamb3eKill0r" makes thread asking for full-auto modes and hunting scope on pistols. I try to reply, but find he's blocked me for shooting down his previous "spawn with M107" idea. No thank you. DayZ ballistics have been ruined! The OP is whiny and condescending, but was reacting to some quite nonsensical changes. They may care, or may not. In any case, they don't have the time to spend, nor do they care to the extent, that some obsessives do. I'll always point out where it can be improved. Not sure why this annoys you, pretty common stuff in ARMA forums or other similar games. Clearly it doesn't bother you whether it's realistic, semi-realistic or unrealistic, so I don't see why you'd be bothered either way. It seems the devs currently wish these numbers to be realistic, having gone to the effort to base them on ballistic tables from a Czech ammunition manufacturer. Unfortunately they didn't spot the instances where the manufacturer has provided incorrect numbers, so I'm pointing them out. I will probably make a separate thread re: 1.0150408 tweaks and changes. I consider such dismissive responses as trolling. It's not even providing an argument against such changes. Adds nothing to the discussion. It doesn't rely on those physics. Separate system from physics items. I agree. Who is this OP to complain about stuff or give constructive criticism? If he doesn't like their numbers he should not say anything and make a mod for it, or alternatively, acquire funds and attempt to set up his own game studio. So, the ballistics are now closer than before, a couple are good to go, but many are still worse than they were in 0.62. A couple of the values are a little odd, as well. For example, the 7.62x54R is now set to 790 m/s. Why this odd 790 m/s, when Wikipedia (not always accurate but most people's first go-to) clearly says the PKM is "officially" 825 m/s, SVD is 830, and Mosin is 865? Acting on a hunch, today I checked the website of Czech ammunition manufacturer Sellier & Bellot; I believe they have based their new ballistics on the figures given on S&B's website. Two problems with this: Problem 1: low-quality data Unfortunately (like many manufacturers) S&B figures are not particularly accurate themselves. You can tell by comparing to other reliable sources and finding large discrepancies for the same type of bullet. For example, they claim their .45 ACP has a ballistic coefficient of 0.093. Way too low. Every other manufacturer gives significantly higher. Nothing special about S&B bullets, simply a bad number. It's going to be more like 0.19. Another example of bad data: they claim their .223 55 grain FMJ has a ballistic coefficient of 0.300. Too high! Should be more like 0.24 (and their tables give an even higher result than 0.300! The ballistic coefficient figures S&B give sometimes do not match to the velocities given in their tables, either). This bad data is partly a result of insufficient testing at short range. Can't make truly accurate ballistics off it. Problem 2: inappropriate loadings It's weird for military SVDs and PKMs to be using 174 grain Sellier & Bellot civilian ammo. The largest source for 7.62x54R ammo is military, and military surplus. It just makes way more sense to model the properties of the standard military/surplus rounds than that of a certain S&B target ammo which uses a much heavier lead-core bullet. Coincidentally (don't place much importance on eye candy) this is what is shown on the 7.62x54R box—military steel core light ball—and not coincidentally, this is how it used to be—ballistics from 0.34 to 0.62 were accurate for standard steel core light ball. Another example would be the 5.56 ballistics set (or intended to be set—it's not correct) for 55-grain ammo. As mentioned above most all nations use 62-grain ammo since the 1980s as this is the NATO standard. This is just a text file, you're looking at a binarised version. Can't apply motorcycle helmet's maps to great helm. There's a examples of ARMA super shader rvmat and how to use on this page as well as previous link: https://community.bistudio.com/wiki/Super_shader You want to point to great helm's _nohq, _smdi, _as maps in the appropriate stages, change specular, specularPower and in Stage6 the fresnel values, and for a world map you want to replace ARMA 3 environment map with "dz\data\data\env_land_co.paa" in Stage7.